100 years ago, when Tucker was only a bump in the road between Lawrenceville and Atlanta, two young boys drove a horse-drawn wagon filled with produce from their father's farm in Snellville, through the darkness of early morning. They were Kelley and Reid Cofer, sons of a prominent local doctor. As they headed to peddle their vegetables to the wealthy residents of Ponce de Leon Avenue, they probably had dreams of becoming successful merchants running through their heads. These dreams would become a reality in 1919 when the brothers borrowed $500 to open a small country store on the red clay main street in the village of Tucker, Georgia. They swapped butter, eggs, and chickens for produce, and as they made friends with their customers, the store became a gathering place for local farmers. The customers valued the wide merchandise stock, which ranged from horse collars to side meat. Plow harnesses hung from the rafters, and piles of overalls filled the shop corners. The company slogan was "Trade elsewhere and we both lose." 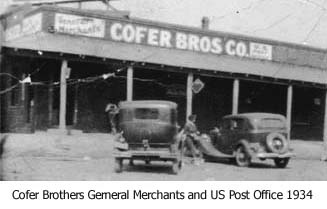 As the business grew and prospered, the brothers ventured into other branches of retail. 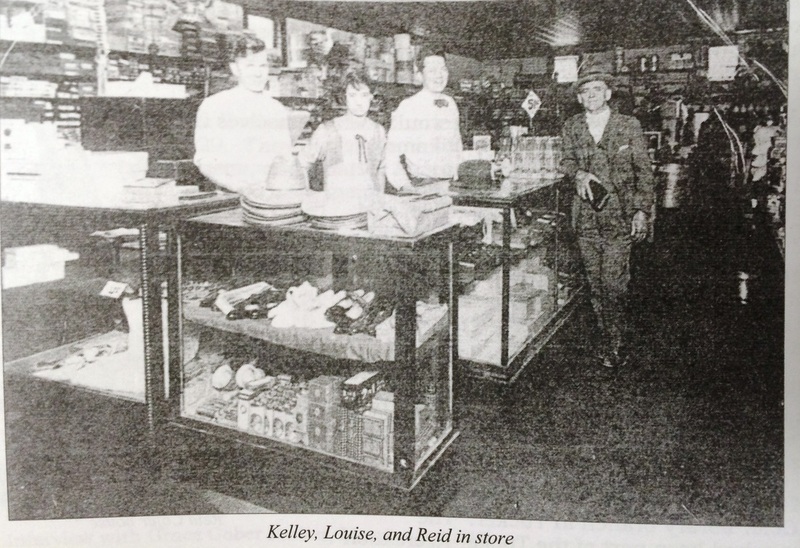 They added a dry goods store, a grocery store, and then a department store. Eventually building materials were added to the stock, and what had started as a small country store was a thriving, seven-store operation. 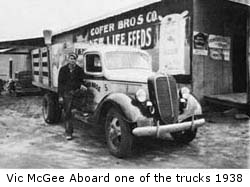 In 1968 Gene Cofer became president of the company, and the second generation put its mark on the company. In the 70's, the department stores were closed and building materials became the dominant merchandise. As the years became history the business kept abreast of the changes in lifestyles, annual sales passed the thirty million dollar mark during the 90's. Chip Cofer became president in 2000 and the third generation began the new century. 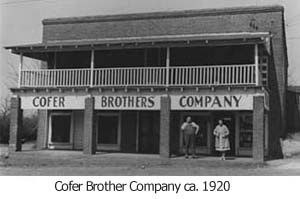 Today Cofer Brothers Inc. offers the most modern building materials and equipment for the widely diversified building trade.